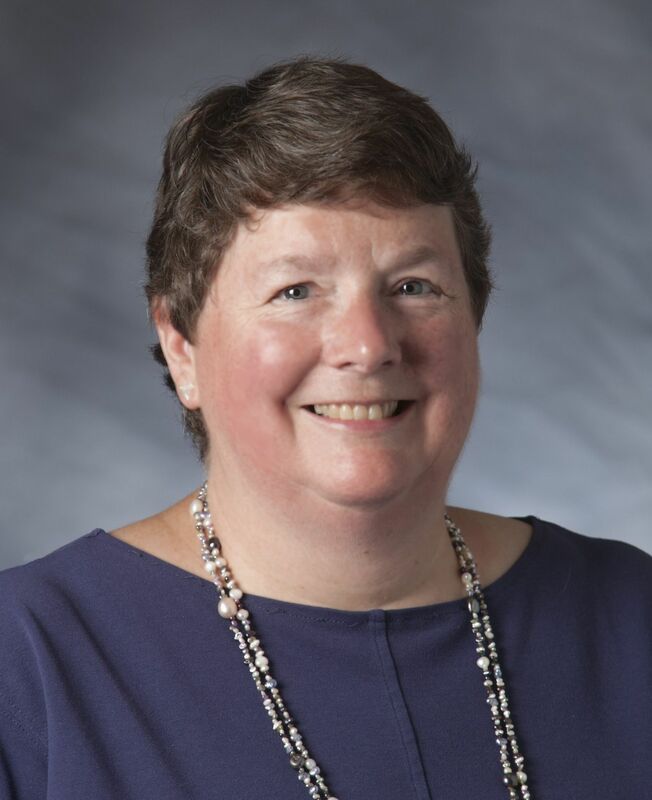 Please join us on Wednesday, June 18 at noon for a lecture by Dr. Margaret Humphreys titled “Finding Dr. Harris: an African American Surgeon in the U.S. Civil War.” The event will be held in Room 102 of the Duke University Medical Center Library. Lunch will be provided. 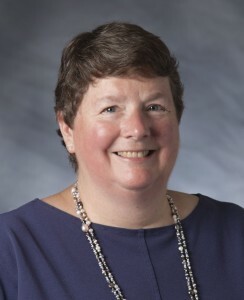 Dr. Humphreys is the Josiah Charles Trent Professor of the History of Medicine and Professor of Medicine at Duke University and current President of the American Association for the History of Medicine. She is the author most recently of Marrow of Tragedy: The Health Crisis of the American Civil War (Johns Hopkins University Press); a book for which she was a finalist for the Gilder Lehrman Lincoln Prize—awarded annually for the finest scholarly work in English on Abraham Lincoln or the American Civil War era. Dr. Humphreys’ talk coincides with several exhibits at the Duke Medical Library. 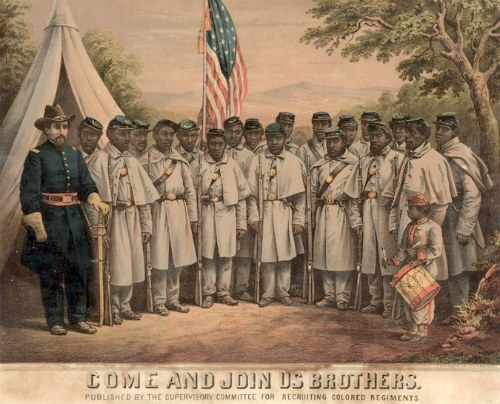 From June 9 through July 19, 2014, the Medical Library & Archives will host the National Library of Medicine’s travelling exhibit Binding Wounds, Pushing Boundaries: African Americans in Civil War Medicine. The lower level of the Medical Library includes an exhibition on Civil War medicine, highlighting many materials from the History of Medicine Collections and Rubenstein Rare Book & Manuscript Library on display through September of 2014. Dr. Humphreys talk is co-sponsored by the Duke University Medical Center Library & Archives and the History of Medicine Collections in the David M. Rubenstein Rare Book & Manuscript Library. For questions about the event, please contact Beverly Murphy at beverly.murphy@duke.edu or (919) 660-1127. Clay was in Canada from mid-1864 through early 1865. He returned to the South just in time for the Confederacy to surrender. President Lincoln was assassinated shortly after his return, and both Davis and Clay were arrested by the Federal government on suspicions of treason relating to Lincoln’s assassination. (Clay’s time in Canada looked extremely suspicious.) The men were imprisoned in Fortress Monroe, Virginia. Clay was held for about a year without being charged until finally his wife, Virginia Clay, convinced President Andrew Johnson to pardon him. (She was a cool lady. You can read her 1905 memoir here.) Davis was imprisoned until 1867 before finally being released on bail. 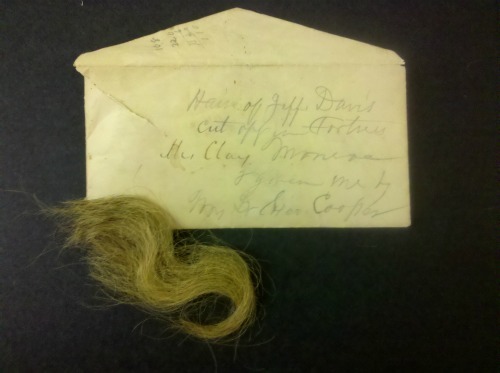 This is only a selected portion of the Davis hairball held in the Clay Papers. 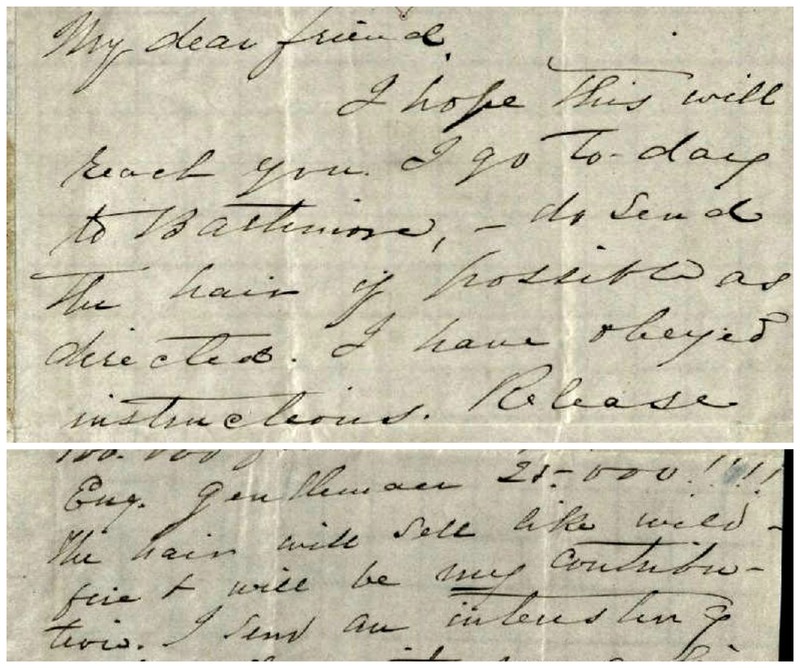 Even Davis’s contemporaries were not interested in purchasing locks of his hair! Sterling explained that as she helped write the memoir in the early 1900s, the hair was still lying in “‘mussy’ bundles, among Mrs. C’s things.”And so it now remains forever in the Rubenstein. Mystery solved! In June and July we’ll celebrate the beginning of a new fiscal year by highlighting new acquisitions from the past year. All of these amazing resources will be available for today’s scholars, and for future generations of researchers in the Rubenstein Library! Check out additional posts in the series here. Some of the most celebrated, recognizable, and graphic images of the American Civil War come from Alexander Gardner’s Photographic Sketch Book of the Civil War and George N. Barnard’s Photographic Views of Sherman’s Campaign, both published in 1866. Among the most important pictorial records of the conflict, together they shed a stark light on the destruction witnessed during the war and its aftermath. 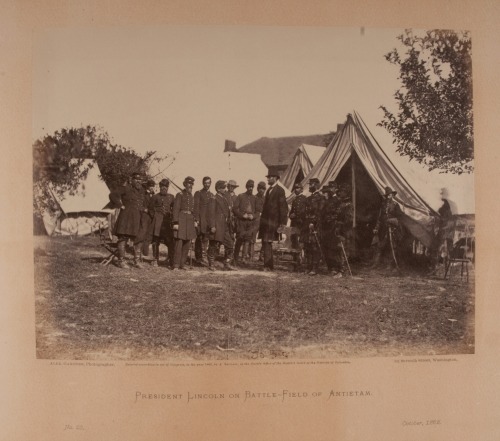 As legendary examples of early American photography these albums also help us to understand the history of documentary photography and the emergence of the widespread documentation of war. Look for a feature on these important new additions to the Library’s Archive of Documentary Arts in the next issue of RL Magazine! Alexander Gardner, “President Lincoln on Battle-Field of Antietam,” 1862, from Gardner’s Photographic Sketch Book of the Civil War. 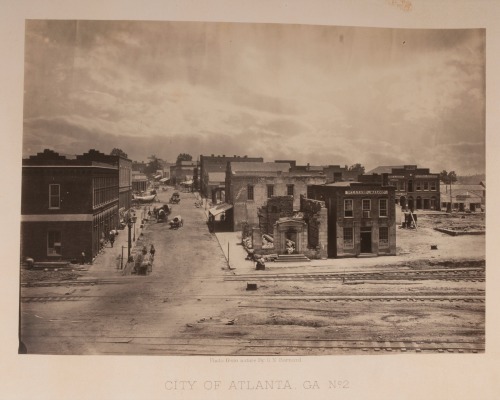 George Barnard, “City of Atlanta no. 2,” from Barnard’s Photographic Views of Sherman’s Campaign. The Rubenstein Library is grateful to the B. H. Breslauer Foundation for their generous support of the acquisition of Gardner’s Sketch Book. Post contributed by Kirston Johnson, Curator of the Archive of Documentary Arts. Crazy Assassin or Crazy Housepainter? On this day in 1865 the infamous John Wilkes Booth, assassin of President Abraham Lincoln, died of a gunshot wound on the porch of the Garrett home in Virginia after twelve days on the lam. Or did he? What if I told you that Booth was actually a tobacco merchant in east Texas in 1873? Or that he was a Shakespeare-quoting house painter in Enid, Oklahoma in the early 20th century? And that one could view his mummified remains at various circuses after the First World War? Crazy, right? Not according to Finis L. Bates, a lawyer from Memphis, TN, in his 1907 confessional, The Escape and Suicide of John Wilkes Booth. 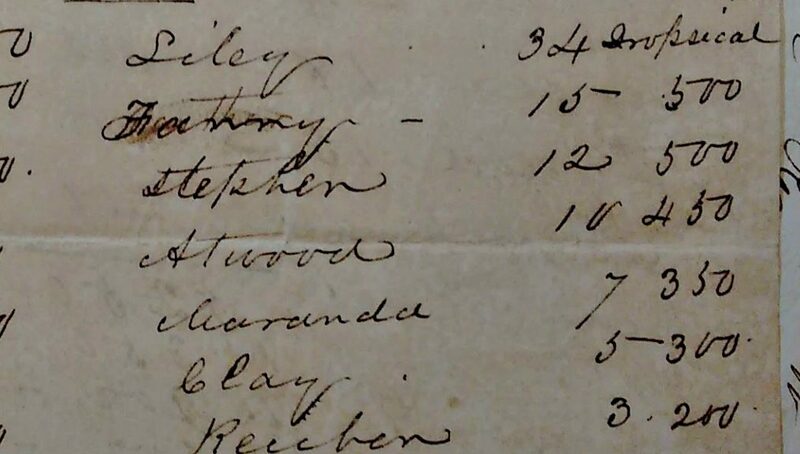 According to Bates, John St. Helen, a merchant in Granbury, TX, confessed his true identity while suffering from an illness to which he supposed he would eventually succumb. After his unexpected recovery, St. Helen elaborated on his confession to Bates and offered additional details of the conspiracy to assassinate Lincoln. The most explosive of these was the originator of the assassination plot, Vice-President Andrew Johnson. He also offered the true identity of the man mortally wounded by a Federal soldier at the Garrett farm. Bates immediately notified the State Department and Department of Defense but his pleas fell on deaf ears (conspiracy, anyone?). In 1903, a house painter from Oklahoma named David E. George, committed suicide with a fatal dose of arsenic. 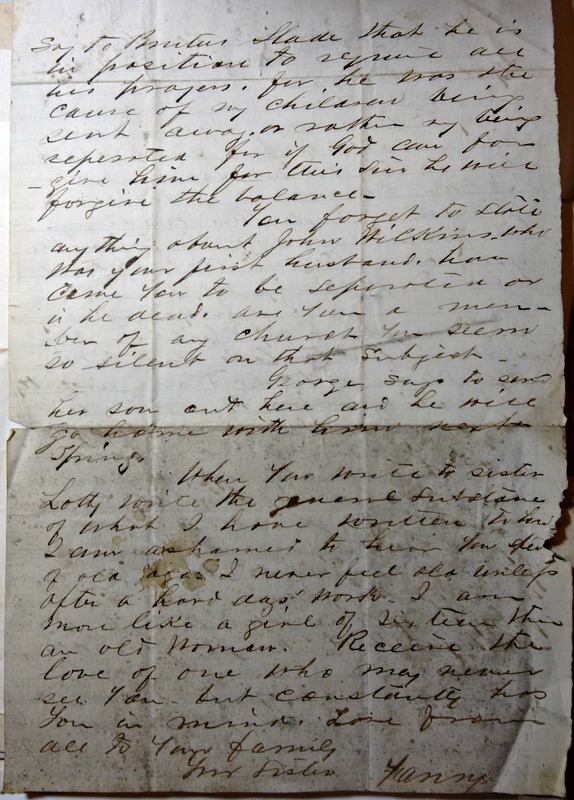 Among some papers found on George was a note requesting that Bates be summoned. Upon his arrival several days later, Bates was able to identify the deceased George as his friend from Texas, John St. Helen, nee John Wilkes Booth. 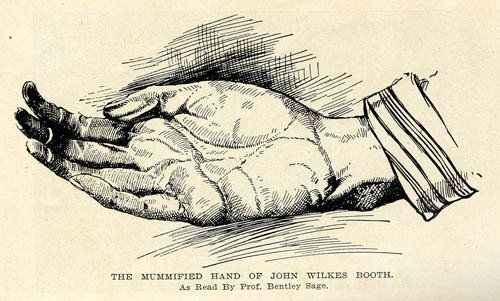 After claiming possession of the body, Bates then toured mummified remains around the United States, and, eventually, even offering for purchase to Henry Ford. Come to the Rubenstein Library and read this true account of the life and death of John Wilkes Booth. Conspiracy theorists welcome! Engraving from The Escape and Suicide of John Wilkes Booth. Post contributed by Joshua Larkin Rowley, Research Services Coordinator. Working on the History of Medicine (HOM) Trent Manuscripts Grant Project has revealed quite a few items of interest—but most recently, I discovered something that fits rather well into the Memories of the Civil War exhibit currently on display in the Perkins Exhibit Gallery. 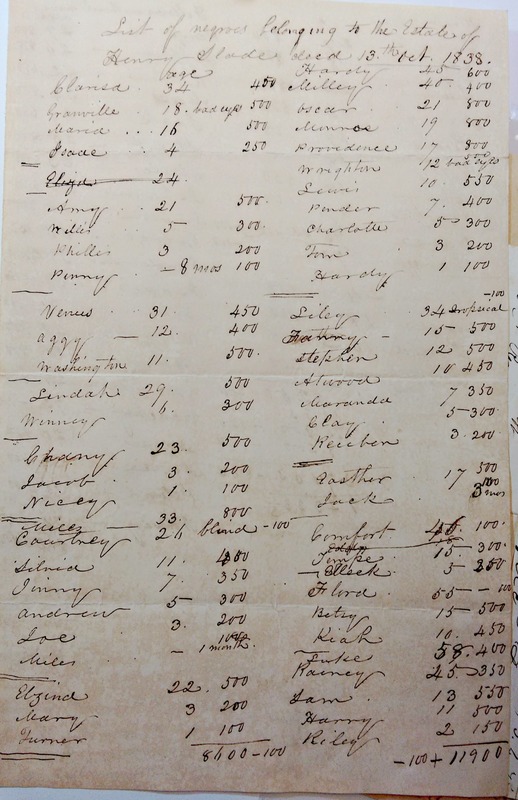 Signatures to the 1864 Petition from the Citizens of Cripple Creek. From the Trent Manuscripts Collection. 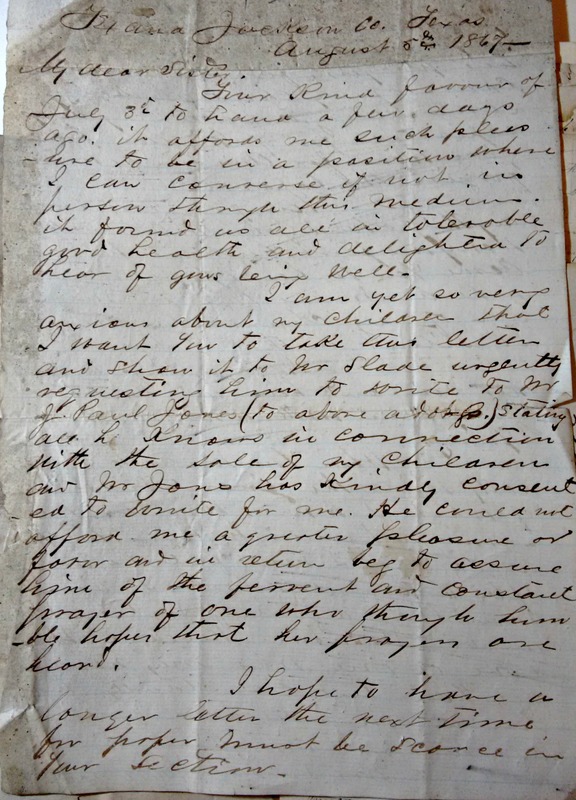 This singular petition to the President of the Confederacy, Jefferson Davis, dated February 15, 1864, was accompanied by two pages of signatures by the residents of Cripple Creek. Did it ever reach its destination? Do any historians or local residents know the fate of Dr. C. C. Campbell and his patients in Cripple Creek, Virginia? If so, we’d love to hear from you! Jacqueline Chapman, a graduate student at UNC-Chapel Hill’s School of Information and Library Science, was History of Medicine Intern at the Rubenstein Library from September 2011 to January 2012. Prominent historians from Duke University, the University of North Carolina-Chapel Hill, North Carolina State University, and Ohio State University will gather at Duke for a one-day symposium marking the 150th anniversary of the American Civil War. It will feature talks and presentations on a wide range of topics related to the war and its ongoing impact a century and a half later. This event is free and open to the public. See the symposium’s website for additional information. 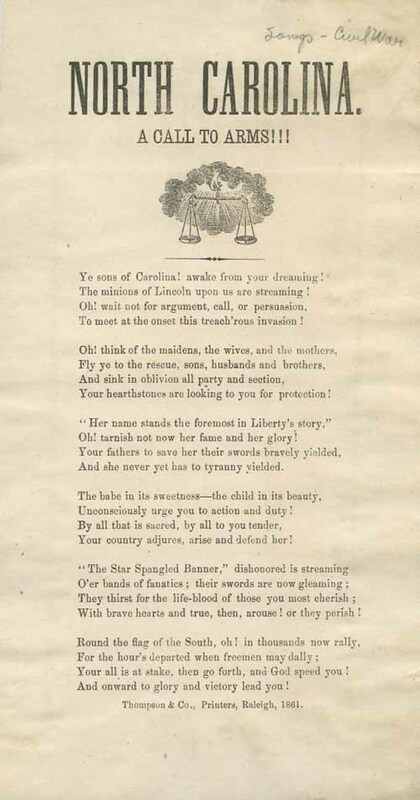 The symposium coincides with the Rubenstein Library’s acclaimed exhibit, “I Recall the Experience Sweet and Sad: Memories of the Civil War,” on display through March 30. Additional materials focused on Civil War medicine from the Rubenstein Library’s History of Medicine Collections will also be displayed in the Gothic Reading Room on the day of the exhibit. “Memories of the Civil War” shares personal reflections and memoirs of Civil War participants from a variety of backgrounds: an escaped slave, a Union volunteer, a Southern woman, and an army field nurse. Also featured is the memoir of poet Walt Whitman, whose poem, “The Wound Dresser,” is quoted in the exhibit’s title. Despite the different backgrounds of their authors, the memoirs have remarkably common themes of triumph, tragedy, hope, and pain. Though the Civil War lives on in American memory and legend, this exhibit seeks to ground that legend in the experiences of those who lived it. 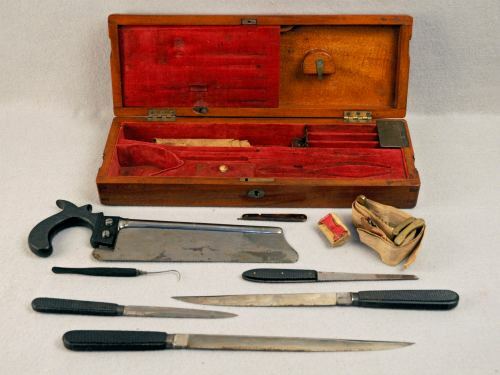 Accompanying the memoirs are supplementary manuscripts, photographs, and memorabilia from the Civil War itself, including maps, scrapbooks, and artifacts such as this amputation kit from the Rubenstein’s History of Medicine Collection. Original Whitman letters, flag remnants from the Battle of Fort Sumter, and handmade playing cards are other exhibit highlights. Amputation kit used during the Civil War, now on display in the Perkins Gallery. During your next visit to Perkins-Bostock Library, please swing by the library gallery to see the new exhibit on display now! If you can’t visit in person, be sure to check out the online exhibit, which includes additional letters and photographs that didn’t quite fit in the Perkins cases. Also, please plan to join curators Jessica Janecki, Meghan Lyon, and Kim Sims for a gallery talk on Monday, January 23, from 3-4 p.m. The Devil’s Tale will have more information about this event posted soon!